slug Created with Sketch. From You! 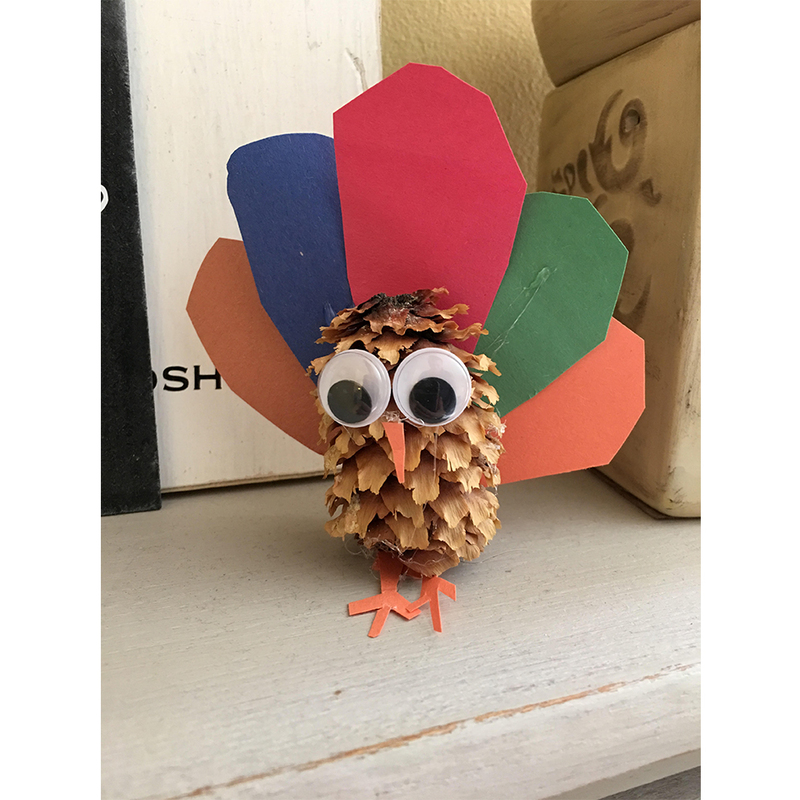 Check out the amazing handmade turkeys you sent in! Click through the images below to see and read about each one. If you'd still like to submit your turkey, click here. 1. 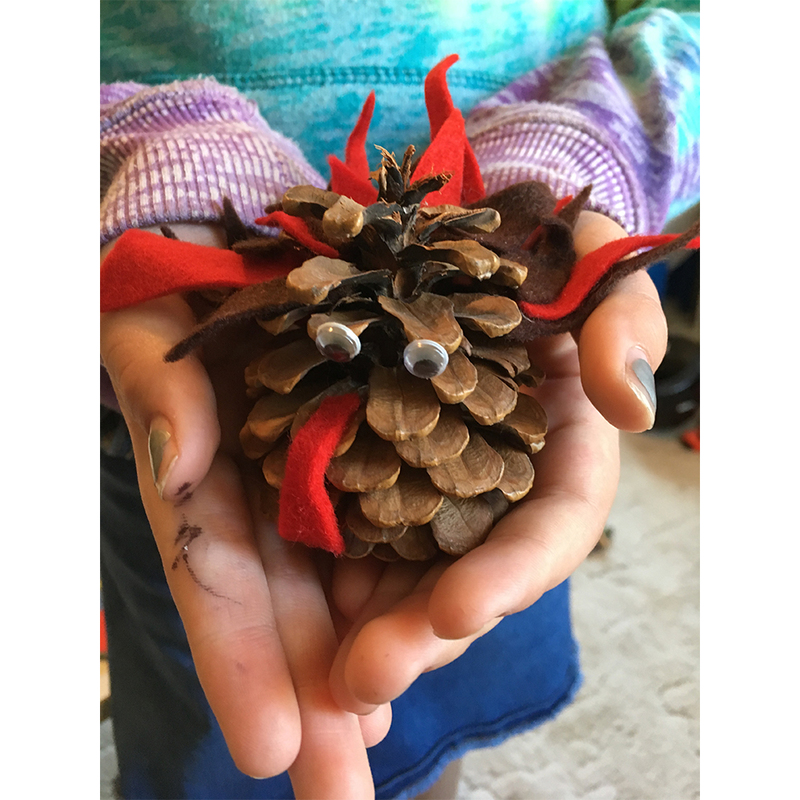 First, find a pine cone. 2. Cut three long half ovals from felt, and cut three small slits in the round end of each one. 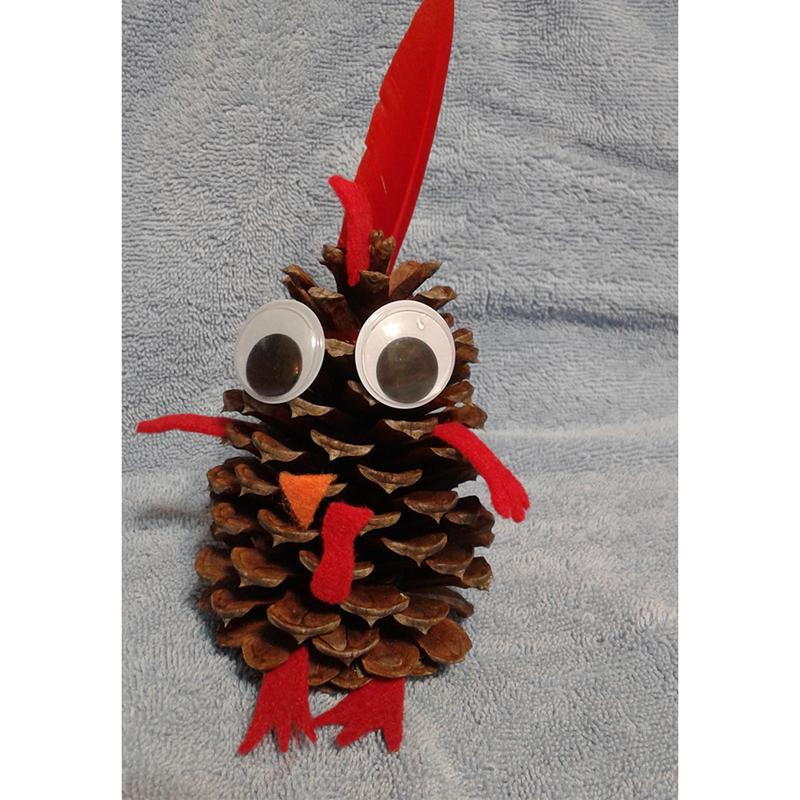 Fan them out and attach them to the back of your pine cone for the tail. 3. Now cut out a small triangle, two wings, two feet, a comb, and wattle. Attach them with glue dots. 4. 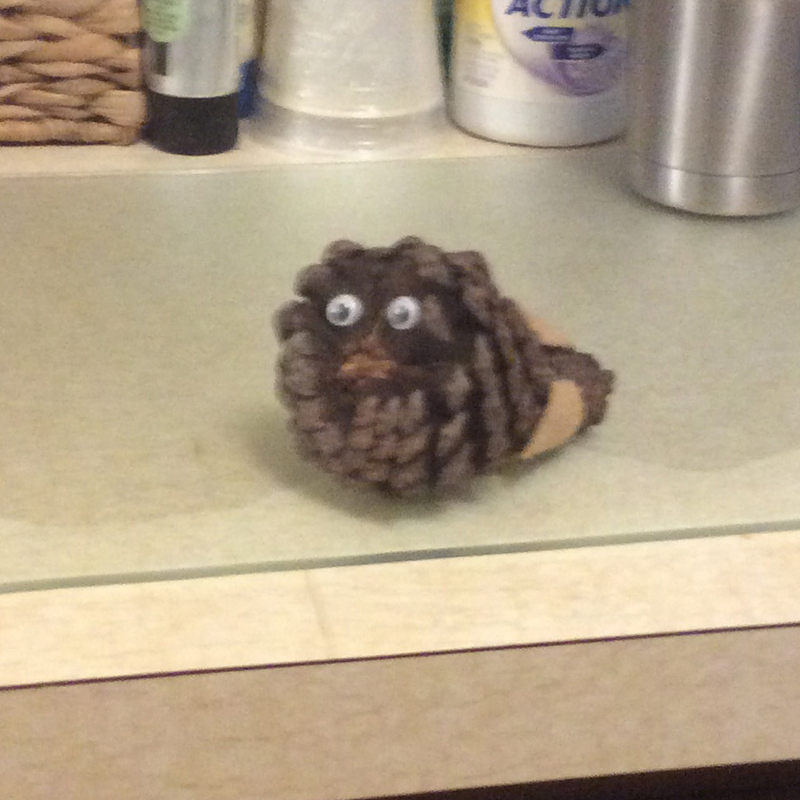 Find googly eyes and attach them with glue dots as well. 5. 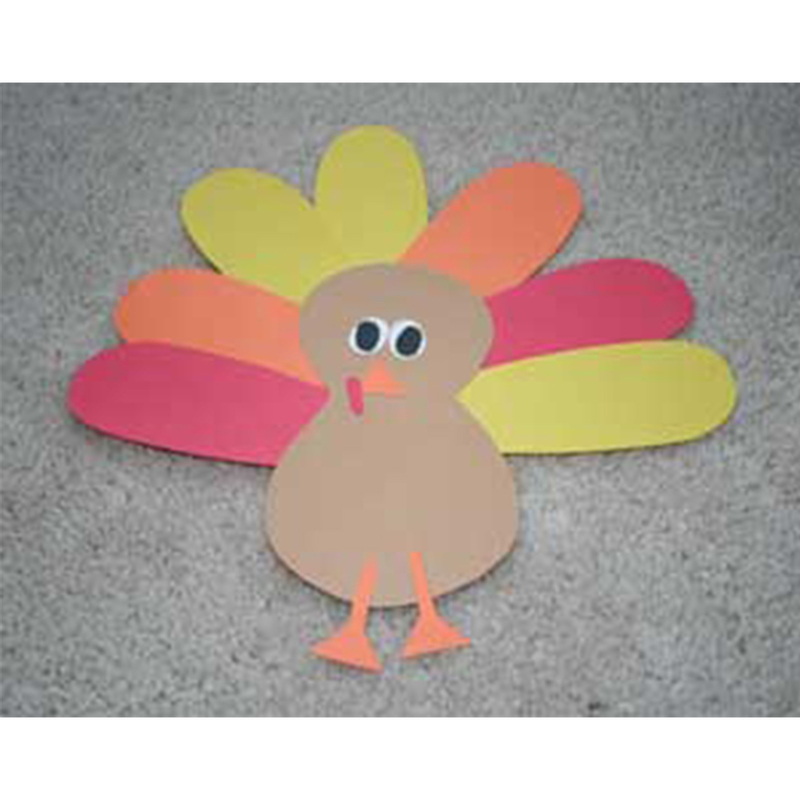 To make feathers for your turkey: Measure a chenille stick around your turkey's head. Cut off the extra. Twist a real feather or craft feather into the chenille stick! My turkey's name is Gilbert Thanksgiving. His favorite food is cranberry pie, and he loves to gobble, except during the month of November when he hides under our trampoline. This is Bob Jr. He is named after me because I am awesome (duh!). This is my turkey. Happy Thanksgiving, Highlights.